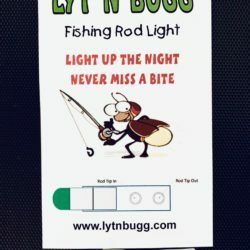 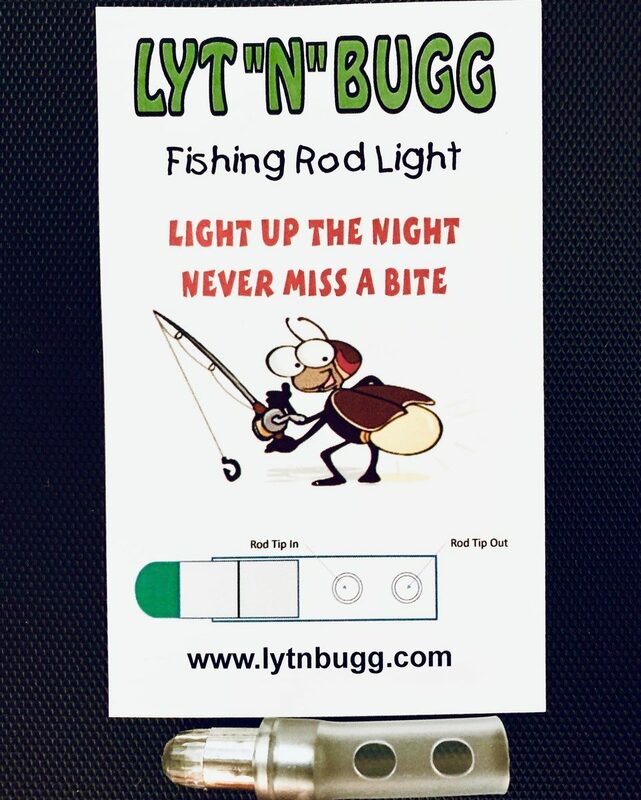 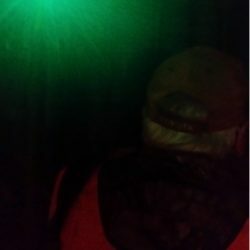 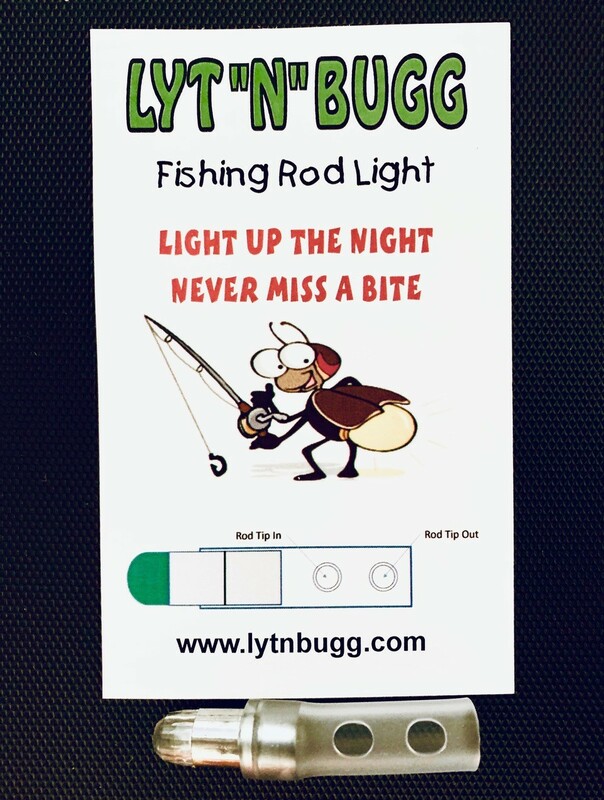 The LYTNBUGG Rod Light can be used with Casting or Spinning rods. 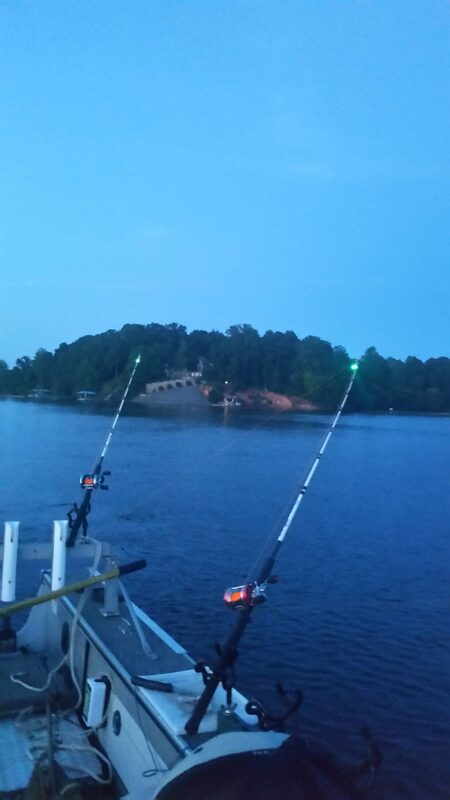 Bank Fishing, Surf Fishing, Night Fishing of any kind. 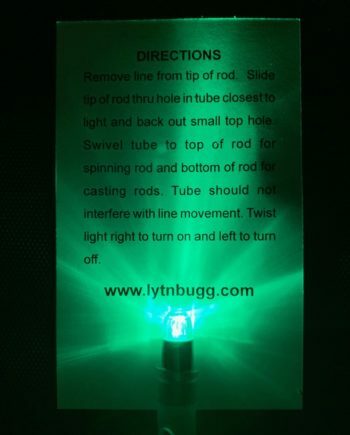 No need for lots of back light that draws insects. The slightest bite is visible even out of the corner of your eye. 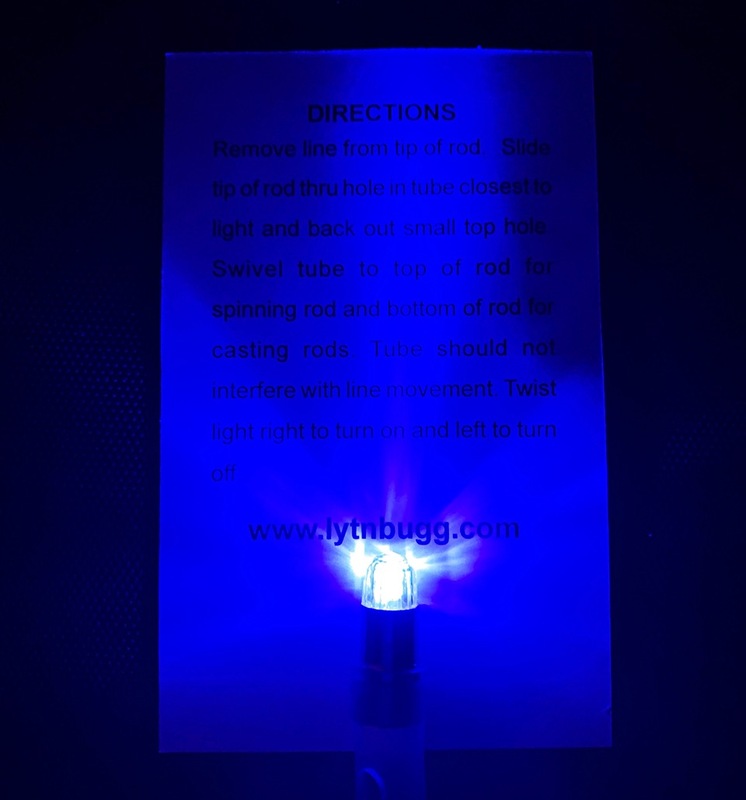 Replacement bulbs available. Instructions: Remove line from tip of rod. 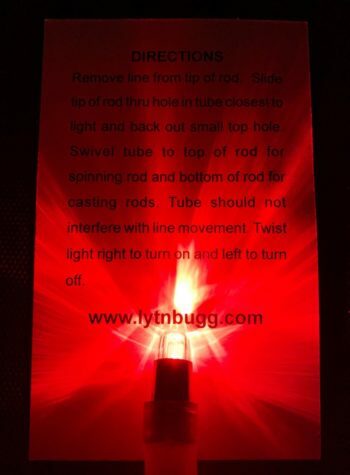 Slide tip of rod thru hole in tube closest to the light and back out top hole. Swivel tube on top of rod for spinning rod and bottom of rod for casting rods. 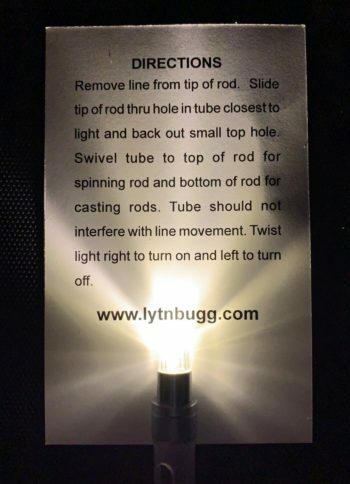 Twist light right to turn on and left to turn off.